Oh man. Solace of the Road by Siobhan Dowd was such an emotional roller coaster. Why has it taken me so long to pick up another book by this amazing author?! Siobhan Dowd writes so beautifully and with such emotion. I am in awe of her and also hugely saddened that she is no longer with us. Last year I read A Swift Pure Cry and almost didn't have the words to describe the feelings that I felt when reading and because of that, I put off writing the review for that book for a very long time. Now, with Solace of the Road, I am determined that that will not happen again. In some ways, I was a little intimdated by reading Solace of the Road. Everyone I know who has read books by Siobhan Dowd rates them all very highly. I wanted to love it too and I was worried that I wouldn't. I can see now how much needless worry that I wasted because Solace of the Road was incredible. I love road trip stories very much. I love the excitement of them. I love the interesting people that you can meet and how things usually end up going a bit wrong or at least very differently to how you imagine this journey to take. All of this is very much true for the road trip that takes place within this book. 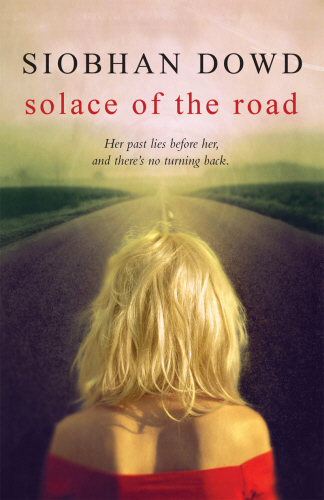 But really, it is Holly's story and her character that really drew me into Solace of the Road. I really felt for her, as I read about Holly being in care, about her experiences (which are usually not great) with other foster families. Her important relationship with Miko and some of the other care babes. You can tell from the way that Holly speaks about her mother, that she really maintains hope that Holly's mother is in Ireland waiting for Holly. So when Holly is placed in a permanent foster family, Holly feels a little bit threatened and even more determined to make it to Ireland on her own. She finds a blonde wig in her foster's mother's room and takes on the persona of 'Solace' who is older and more confident and who will hitchhike her way to Ireland and take back her own freedom and find the mother that she knows is there. I really do love the beautiful way in which Siobhan Dowd tells this story. I love how as Holly gets closer to her destination, her memories about how she came to be in care come back to her slowly. I love that she meets some really lovely people when she is alone and in need. I love each of those people who went out of their way to do something nice reminds Holly (and the reader) that there is good in the world. That nice feeling of goodness balances out the harshness of Holly's reality. There aren't a great many books about people like Holly. Children and young people who have gone through a great deal of experience in life and Siobhan Dowd gave a voice to them in a really wonderful and sympathetic way. She doesn't sugar coat anything, just tells this story very naturally. I had tears streaming down my face as I finished this book. I was crying for the beauty and the sadness and the strength of Holly. It certainly won't take me as long to pick up the other books that Siobhan Dowd has written. I'm so glad you loved this one as much as I did. These books are so important and the way she tells the story is so moving and less heavy-handed than some other books that deal with similar issues, I think. I would definitely agree with you on that. And I loved this book so much. 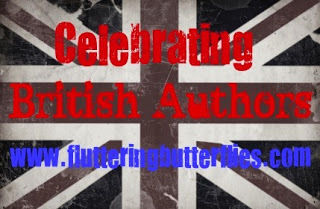 It IS amazing, Zoe, please do read it :) I still have The London Eye Mystery and also Bog Child of Siobhan's to read. This sounds so good. I loved Bog Child, but haven't picked up any of her other books yet. I've just recently picked up Bog Child and I'm dying to read it now!